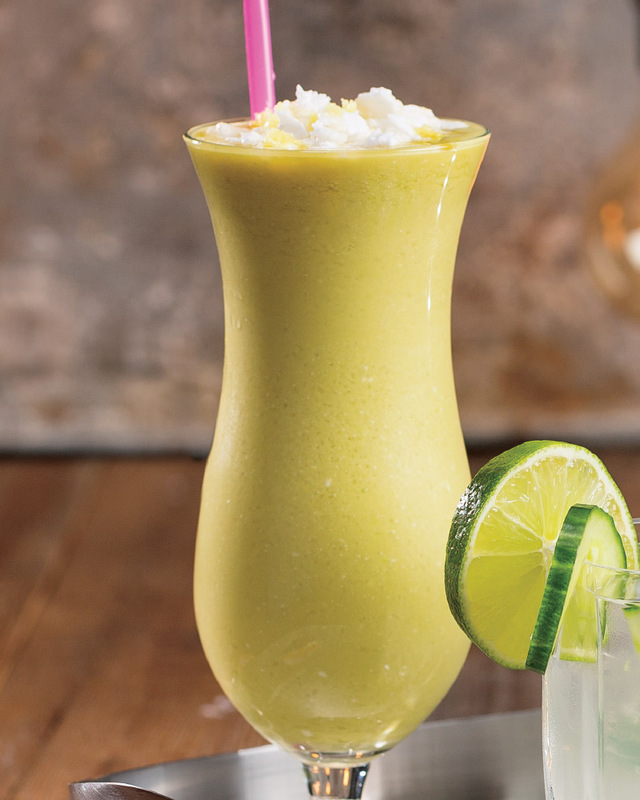 1.In blender, blend avocado, juice, 1/4 cup coconut milk, ginger and ice on high until smooth. Pour into glasses; top with remaining coconut milk and drizzle with honey. Makes about 3 cups. > Use a 100% juice blend and lite coconut milk to cut down on calories and sugar.